Concept/Co-Creator/Film and Performer: Debroah Leiser-Moore. Co-Creator/Director Meredith Rogers. Choreographer: Sally Smith. La Mama (Vic). July 16 – 20, 2014. 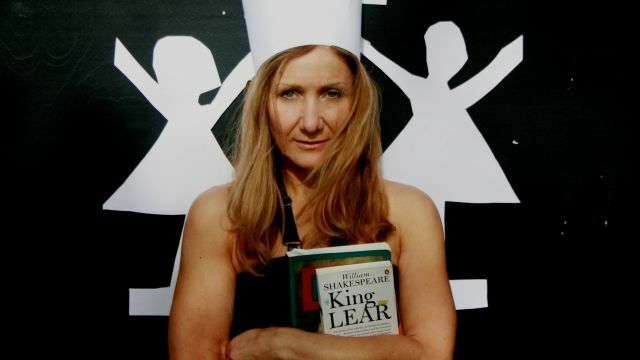 Cordelia, Mein Kind is a well-honed, tightly woven, one-woman performance that responds to the subjective questioning most women surely do, as daughters, when watching or thinking about the Father/Daughter relationship in Shakespeare’s King Lear. As such it is very moving and satisfying amalgam of skilled performer working with multi–media to touch on some poignant and elusive truths about many things including identity and culture that relate to heritage. 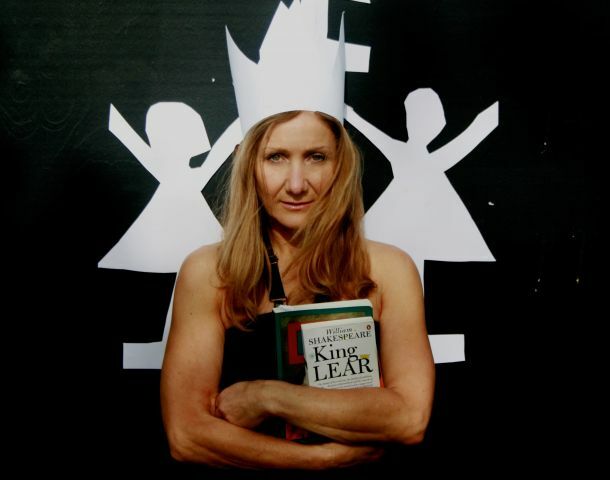 The work has several ‘frames’, one being extensive film footage of Debroah’s father, another a Yiddish film adaption ofKing Lear, as well as a glorious audio recording of Paul Schofield performing excerpts from the text of the play. Nothing is out of place and Debroah’s Suzuki trained, fit and strong body serves this work beautifully as does Meredith Rogers’s perceptive and acute direction. Cordelia’s reticence to vehemently express her love for her father, as her sisters had done when questioned by him, is explored. And at the very heart of this work are some of Leiser-Moore’s reasons for not speaking to her own father of her love for him. At least this is partially how I perceived what I was experiencing as I was also dwelling on my own relationship to my father. Both as a journey about the experience of being a very loving daughter and a gutsy expression by a wonderfully seasoned theatre maker this work is unique, empowering and totally worth catching.